Ahead of the event, Queensland fashion label Lifewear Australia has launched a NAIDOC clothing range featuring an artwork designed by Copyright Agency member, Geoff Sellman. Geoff is an artist practising in Western Sydney with traditional training from his Bunda-Bunda tribal community in Bundaberg, Queensland where he was born in 1962. The Geoff Sellman apparel collection includes leggings, adult and kids polo shirts, hoodies, a fashion tote bag and a ladies scarf, all featuring the artist’s distinctive boldly patterned artwork. 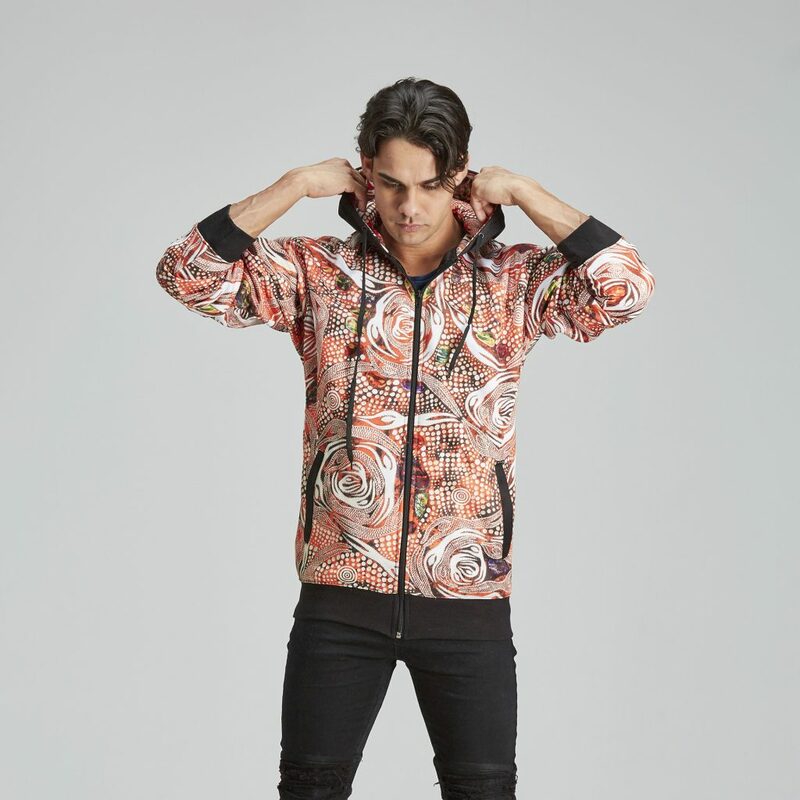 Copyright Agency’s Visual Arts licensing team worked with Lifewear Australia to develop a copyright licence agreement for the adaption of Geoff’s artwork following licensing best-practice protocols. Lifewear’s 2018 NAIDOC range also features artworks by artists Glen Mackie, Amanda Conway-Jones and Ailsa Walsh. To find out more about the Geoff Sellman collection click here. Leggings from Lifewear Australia NAIDOC 2018 apparel collection featuring Geoff Sellman artwork, Her Opal Spirits, 2018. © Geoff Sellman/Copyright Agency, 2018. Photo courtesy Lifewear Australia. Hoodie from Lifewear Australia NAIDOC 2018 apparel collection featuring Geoff Sellman artwork, Her Opal Spirits, 2018. © Geoff Sellman/Copyright Agency, 2018. Photo courtesy Lifewear Australia. Image Credit: Hoodie from Lifewear Australia NAIDOC 2018 apparel collection featuring Geoff Sellman artwork, Her Opal Spirits, 2018. © Geoff Sellman/Copyright Agency, 2018. Photo courtesy Lifewear Australia.